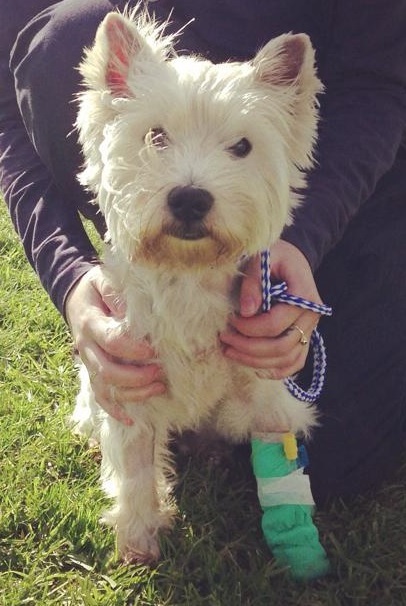 Pepper is a sweet 5 year old West Highland Terrier dog who had been seen at AAE on previous occasions for oesophageal foreign body (caused by bone ingestion). Last Thursday night, Pepper’s owner noticed she wasn’t herself when Pepper jumped on their bed in the middle of night. 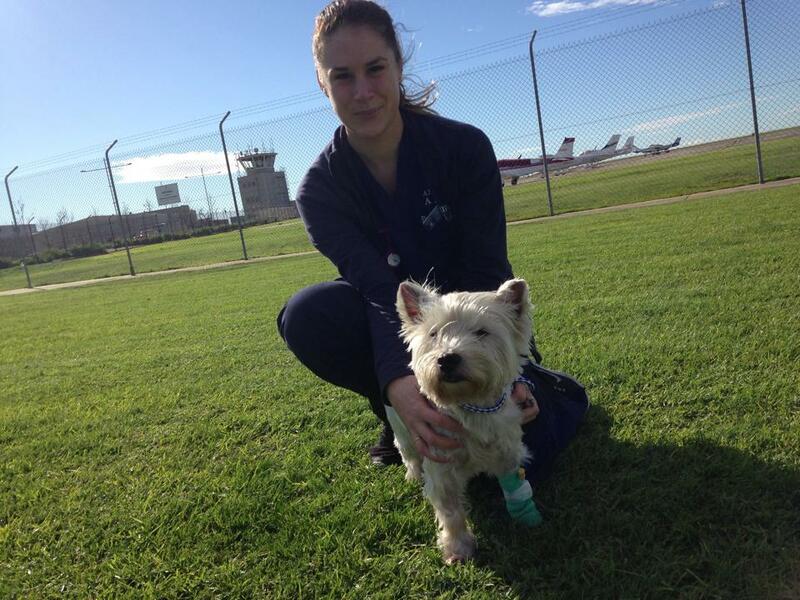 Pepper was shaking so her owners brought her in to our Essendon Fields Pet Emergency Centre. Pepper had managed to steal 3 large marrow bones from her house mate. She developed severe abdominal pain after eating the bone. Pepper’s pain was severe enough that her pain relief medication had to be escalated requiring a combination of 3 different pain relief medications to keep her severe pain under control. It took 4 days for Peppers abdominal pain to resolve. Pepper has now gone home with her caring owners and is on a strict low fat diet. Pepper was a very sweet patient and the staff at Animal Accident & Emergency wish her a speedy recovery. Pepper taking her morning walk at Essendon Fields.